INSTRUCTS the Standing Committee to review the progress in implementation of the CITES Strategic Vision: 2008-2013, and in achievement of the Objectives, at each of its ordinary meetings during the term of the Vision, and to report at the 15th and 16th meetings of the Conference of the Parties. The Convention on International Trade in Endangered Species of Wild Fauna and Flora (CITES) was concluded on 3 March 1973. It entered into force after ratification by 10 States, on 1 July 1975. Since then, the number of countries that have ratified, approved, accepted or acceded to the Convention has continued to increase. With 172 Parties, CITES is widely regarded as one of the most important international conservation instruments. During this period, the Conference of the Parties has shown itself to be capable of adapting to changing circumstances and, through the adoption of Resolutions and Decisions, has demonstrated an ability to construct practical solutions to increasingly complex wildlife trade and conservation problems. At its ninth meeting (Fort Lauderdale, 1994), the Conference of the Parties commissioned a review of the Convention's effectiveness. The principal purposes of the review were to evaluate the extent to which the Convention had achieved its objectives and the progress made since CITES came into being and, most importantly, to identify deficiencies and requirements necessary to strengthen the Convention and help plan for the future. At its 10th meeting (Harare, 1997), the Conference agreed to an Action Plan for implementing certain findings and recommendations of the review. A central finding was the need for a strategic plan and, at its 11th meeting (Gigiri, 2000), the Conference of the Parties adopted the Strategic Vision through 2005, and an Action Plan. At its 13th meeting (Bangkok, 2004), the Conference of the Parties adopted Decision 13.1, which extended the validity of the Strategic Vision and Action Plan until the end of 2007. It also established a procedure for developing a new Strategic Vision through 2013, particularly to contribute to the achievement of the World Summit on Sustainable Development (WSSD) target of significantly reducing the rate of biodiversity loss by 2010. The present document is the result of this process. to ensure that CITES policy developments are mutually supportive of international environmental priorities and take into account new international initiatives, consistent with the terms of the Convention. Goal 1: Ensure compliance with and implementation and enforcement of the Convention. Goal 2: Secure the necessary financial resources and means for the operation and implementation of the Convention. Goal 3: Contribute to significantly reducing the rate of biodiversity loss by ensuring that CITES and other multilateral instruments and processes are coherent and mutually supportive. The goals aim at consolidating the existing strengths of CITES, ensuring the implementation of the mandate of the Convention, and further improving the relationship with relevant multilateral environmental agreements and related conventions, agreements and associations. Within the framework provided by each of these goals, this Strategic Vision identifies a number of objectives to be achieved. Corresponding indicators of progress are to be developed by the Standing Committee and reviewed by the Conference of the Parties. This document provides a framework for the future development of the existing body of Resolutions and Decisions. While it should provide guidance on how the goals and objectives are to be achieved, the Conference of the Parties, the Committees or the Secretariat as appropriate will take required action. The document also serves the Parties as a tool for the prioritization of activities, and decisions on how best to fund them, in light of the need for the rational application of costs and the efficient and transparent use of resources. It should be noted that all references to 'trade' in the Strategic Vision refer to trade as defined in Article I of the Convention. The proper functioning of the Convention depends to a great extent on the commitment of Parties to comply with and implement the Convention and its principles. Objective 1.1 Parties comply with their obligations under the Convention through appropriate policies, legislation and procedures. Objective 1.2 Parties have in place administrative procedures that are transparent, practical, coherent and user-friendly, and reduce unnecessary administrative burdens. Objective 1.3 Implementation of the Convention at the national level is consistent with decisions adopted by the Conference of the Parties. Objective 1.4 The Appendices correctly reflect the conservation needs of species. Objective 1.5 Best available scientific information is the basis for non-detriment findings. Objective 1.6 Parties cooperate in managing shared wildlife resources. Objective 1.7 Parties are enforcing the Convention to reduce illegal wildlife trade. Objective 1.8 Parties and the Secretariat have adequate capacity-building programmes in place. Objective 2.1 Financial resources are sufficient to ensure operation of the Convention. Objective 2.2 Sufficient resources are secured at the national/international levels to ensure compliance with and implementation and enforcement of the Convention. Objective 2.3 Sufficient resources are secured at the national/international levels to implement capacity-building programmes. Objective 3.1 Cooperation between CITES and international financial mechanisms and other related institutions is enhanced in order to support CITES-related conservation and sustainable development projects, without diminishing funding for currently prioritized activities. 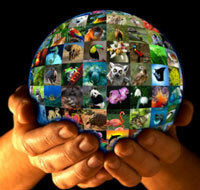 Objective 3.2 Awareness of the role and purpose of CITES is increased globally. Objective 3.3 Cooperation with relevant international environmental, trade and development organizations is enhanced. Objective 3.4 The contribution of CITES to the relevant Millennium Development Goals and sustainable development goals set at WSSD is strengthened by ensuring that international trade in wild fauna and flora is conducted at sustainable levels. Objective 3.5 Parties and the Secretariat cooperate with other relevant international organizations and agreements dealing with natural resources, as appropriate, in order to achieve a coherent and collaborative approach to species which can be endangered by unsustainable trade, including those which are commercially exploited.